AUSTIN, Texas, Apr 03, 2019 (SEND2PRESS NEWSWIRE) -- The Texas Mortgage Bankers Association (TMBA) announced the agenda for its annual convention to be held on April 28 - 30, 2019 in San Antonio at the Marriott Rivercenter hotel. More than 1,000 industry participants are expected to at attend, which consists of comedian Dennis Miller as the keynote address, a list of preeminent speakers, educational tracks, networking opportunities, trending insights and a diverse mix of exhibitors. The three-day conference will address topics such as the agency of the future, culture driving efficiencies, mergers & acquisitions, outsourcing, production, the economic outlook, an analysis of the data behind efficient and profitable mortgage companies, and more. Throughout the conference, attendees can participate in fun filled activities ranging from a casino party, golf tournament, scavenger hunt, multiple networking events, social mixers and parties. "Given the current challenges facing our industry, it is critically important to engage trusted peers and leading experts to discuss strategies for weathering any storm that may develop - including cutting costs, leveraging culture to drive efficiencies, recruiting and retaining top performers, and much more," says Paulina S. McGrath, President of TMBA. 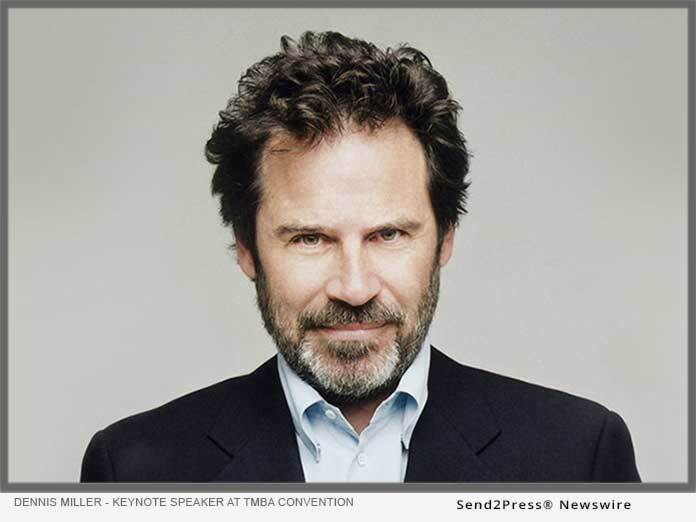 "On top of these productive networking opportunities, you simply will not want to miss hearing the wit and wisdom of the amazing Dennis Miller." To learn more about the event visit, https://www.texasmba.org/convention, call 800-648-4462 or email info@texasmba.org. Founded in 1917, the Texas Mortgage Bankers Association (TMBA) has provided leadership, legislative advocacy, and education to the real estate finance industry. We promote fair and ethical lending practices among real estate finance professionals through a wide range of programs. As the oldest and largest statewide MBA, our mission is to advance Texas mortgage banking and serve the mutual interests of our members who support Texas' annual $100-plus billion mortgage market. For more information, please contact the TMBA office at 512-480-8622 or visit our website at https://www.texasmba.org/.